Web applications are inherently insecure. Most businesses rely on network security solutions like intrusion prevention systems (IPS) and next-generation firewalls (NGFWs) to keep hackers at bay. 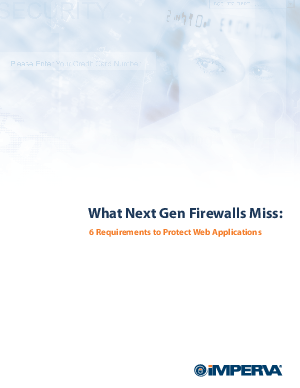 These solutions, however, do not provide the accuracy, the granularity or the breadth of protection required to stop all web-based attacks.